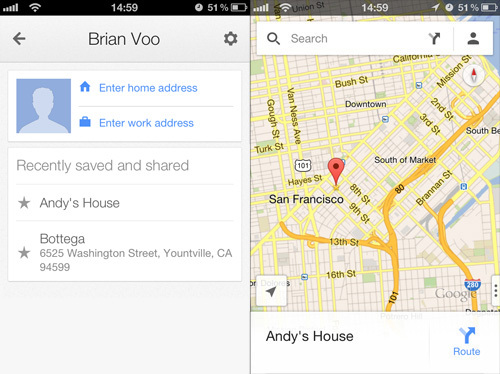 Looking to rename your favorites in Google Maps on iOS & Android? Then look no further than this guide. I remember back when I bought my first smartphone, the Google G1, and I remember thinking the coolest feature about the phone, was that it had Google Maps with GPS. For years now people have become more and more dependent on their smartphones GPS to get them from point A to point B, and well the features has been great ever since its release on smartphones, there are a few things that could use improvements. One of the nicer improvements to Google Maps is the ability to set destinations as favorites, where you’re able to to keep pin-pointed stars on the map for home, work, friends, business, etc. Though this is a great feature, I often hear people complain about the naming convention, mostly because there isn’t really a naming convention, once you add a favorite, it labels it as the address. Now, just because there isn’t any apparent way to name your favorites in Google Maps, doesn’t mean you can’t do it. With this quick how-to guide, we’ll show you how you can name your favorites in Google Maps, so instead of searching for 1337 awesome ave to get direction home, you can just search ‘Home’. The good news is, that because Google Maps is a universal app on both Android and iOS, this guide applies to both platforms. You’ll need to use both the Google Maps app and a web browser to accomplish this, I’ve found that this method is much easier when you’re editing favorites on a computer, but you can use a phone browser just as well. 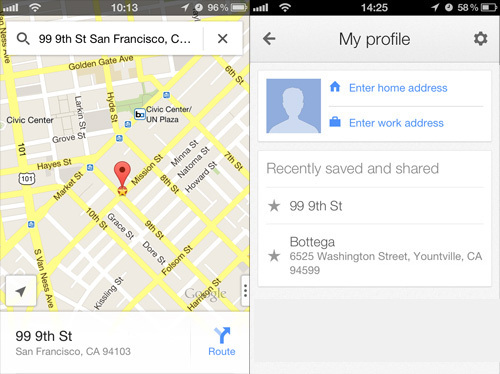 Saving a location in Google Maps is much easier than renaming a location thankfully, all you need to do is find the desired location, click or tap on the map marker, and press ‘Save’. If you’re saving a location that is considered a ‘Landmark’ like the image below, then Google Maps already has a name, along with additional information saved. However, unlike saving a Landmark location, when saving a address that Google Maps does not recognize as a Landmark, it will than name the favorite to whatever the address is. What we’re going to do, is try and resolve that issue. 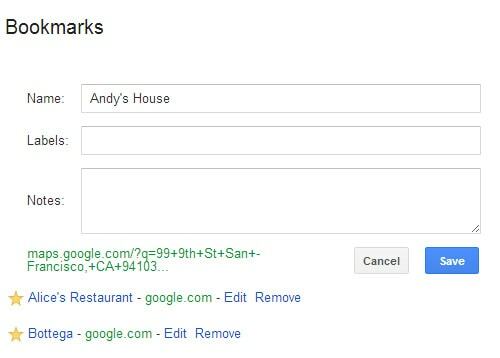 In order to rename an address, you’ll have to do it from a web browser by navigating to www.google.com/bookmarks. Once you’ve logged into your Google account, you’ll be able to access all of the saved addresses that you’ve created in the Google Maps app. Which it should be noted, this process seems to only work when you save the location in the phone’s app and then rename within a browser. Many phones will not sync correctly if you saved the location in a browser. Find the name of the saved address you want to rename and click ‘Edit’. Once you’ve finished renaming the location and adding any other information you want, click on ‘Save’ to finish editing. When you go back to the Google Maps app on your phone, the saved location should show the renamed title instead of just the address. Selecting the new name will bring you to whatever address was originally associated with that favorite. 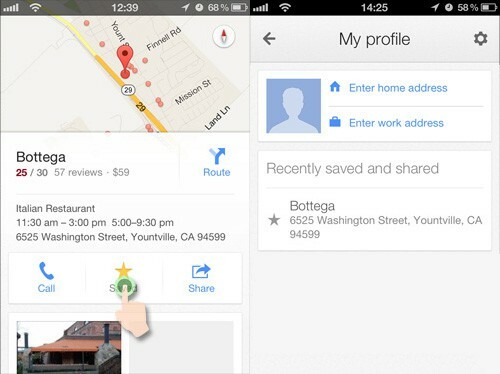 That’s it, hopefully this helped you organize your favorites within the Google Maps application. Thanks to Brian Voo who original posted this fix on hongkiat.com, which you can find the original article in the sources below. Honestly, I don’t understand why this isn’t a built-in feature already for Google Maps, people have been blowing up forums asking this question for years now and it seems Google has little interest to make this a priority. There are some out there who defend Google by saying that it isn’t that easy to code a app to do something like that, I however would strongly disagree. Yes, coding isn’t always a easy job and things can get messy at times, but considering they had it in them to code a app that not only has every address around the world, but one that shows current traffic, gives multiple route directions, among other complex features, I would have to say yes, it should be damn easy to add a naming feature to Google Maps. Many people have claimed that these steps are not working on their Android devices, specifically the Samsung Galaxy S4. What I would suggest if you’re unable to get Google Maps to sync your renamed favorites, is to create a bookmark in your phones browser that goes directly to www.google.com/bookmarks, that way instead of opening your Google Maps app to bring up your list of favorites you can pull it from your browser. The nice thing about this, is that when you select a favorite within the bookmarks page it will open whatever Map app you have set as your default on your phone. The solution posted above does seem to work with iOS 6 & 7, but you need to make sure you’re saving the favorites within the Google Maps app and not the desktop version. We’d love to hear your feedback in the comments below, please remember to post what version of Android or iOS, along with what model phone if you’re posting about this solution working or not working. Especially if you have a better solution, we’d love to hear that as well. As always, leave your comment below and let us know what you think. You can also like our Facebook page, follow us on Twitter, and add us to your circles in Google+ to keep yourself up to date on all things mobile.